Wicked Apples wins the BFIG audience choice award! You are amazing. It was quite the weekend for Wicked Apples at the 2016 Boston FIG. Not only did it sell out of it's first print run, but it also won the tabletop audience choice award. So a huge thank you goes out to anyone who played, bought, voted for, glanced at, sneezed on (you know who you are) or told a friend about the game. For those who weren't able to get a copy at the Boston FIG, I've already started looking into ordering a new bushel of Wicked Apples. I'll post more info on that as soon as I know where and when it will be available. Wicked Apples available at BFIG 2016! 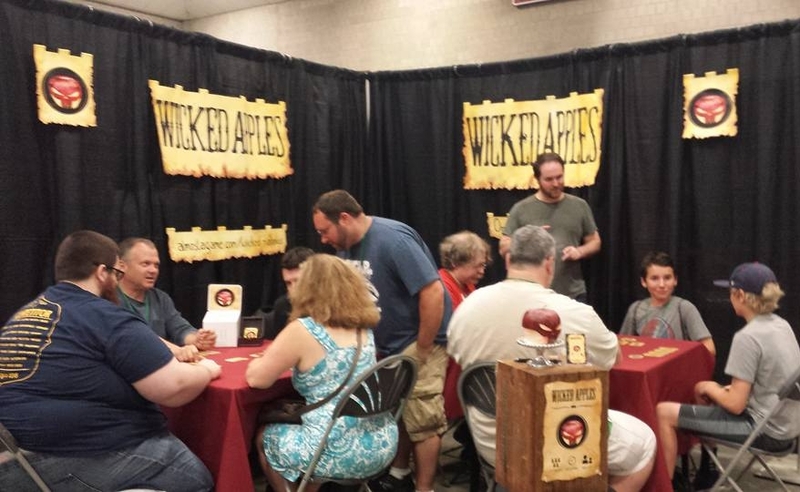 I'm excited to announce that Wicked Apples was chosen to be a featured game at the Boston FIG this year. This means that for the second year in a row Almost A Game will have a presence at the BFIG. Things are going to be a little different this time around though. 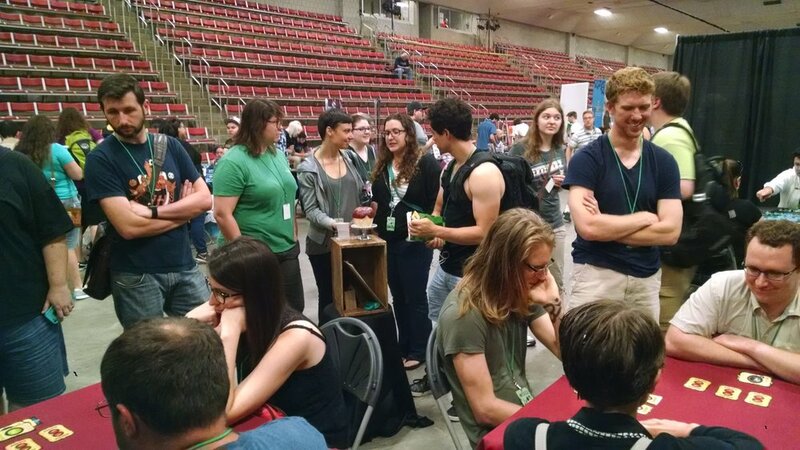 While Space Chase was well liked by players at the BFIG last year, it's game length made it tough to demo and it's printing cost made sale copies risky. 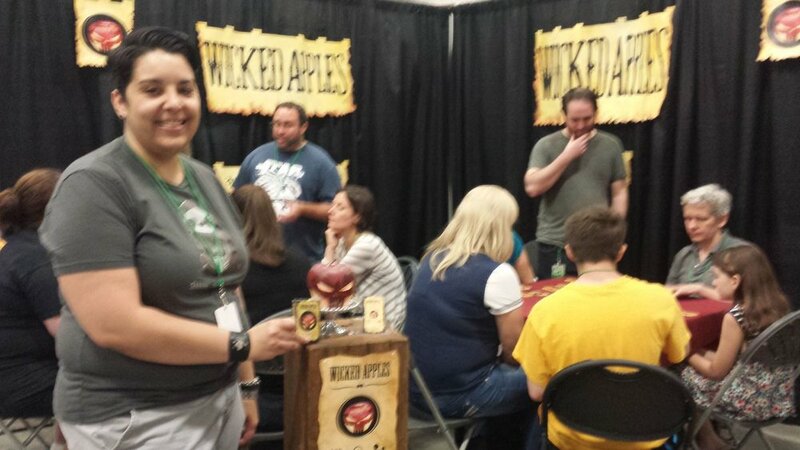 Wicked apples fits much better into a convention setting with full games taking 10-15 minutes to play and a much lower price point. Because of this I'm pleased to say that Wicked Apples will be on sale during the Boston FIG! Hello gang, It's been a busy few months, but I have lots to show for it. I've submitted Space Chase to the Boston FIG and made it through the 2 rounds of curation. Which means on September 12th I'll be in Boston showing off my game! For 12 hours straight! Hooray! You can see all the tabletop games the will be at the FIG this year here. 48 games enter... and 48 games will leave most likely. Space Chase has gone through many minor changes that all together probably equal one major change. Some tiles were added and some tiles were removed, a rule book was created, new game tokens were made, crew members have had an ability overhaul and of course, art updates for all. The overall difficulty is also much better and most games seem to come down to the last turn more often than not. I'm also very proud that the overall game setup has been made much easier. This should come in handy for resetting the game after a demo. The one thing that worries about demoing at the FIG is the learning curve. I've consistently seen players take one full play through to learn how the game works. That's not bad if you own a game, but it's going to be a tough sell at a convention where most people will play one game and walk away. This is mainly due to learning about all the different tiles the first time the come into play. I think I'll need to get creative with my teaching technique. Either that or nail people's shoes to the floor as soon as they sit down. Stay a while. I insist. I still have lots of prep to do before the 12th, but if I had to demo tomorrow I would still be in a good place. In closing enjoy some pictures of recent play tests. I do enjoy my end game photos. PS - A special thanks to the Seacoast Game Designers for lots of play testing and critiquing.